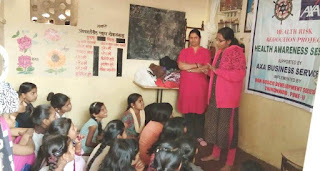 2-February-2019, Chinchwad (Pune): The Don Bosco Development Society (DBDS), Chinchwad organized a health awareness session for the adolescent girls residing in Durga Nagar slum in Chinchwad. 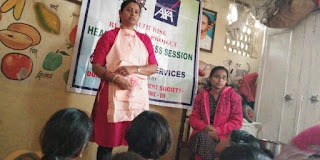 19 girls participated in the session held under the aegis of “Health Risk Reduction Project” supported AXA Business Services. • Physical changes and their stress. • Psychological and emotional changes. This was followed by a question and answer session in which the participants asked questions which were answered by the resource persons. 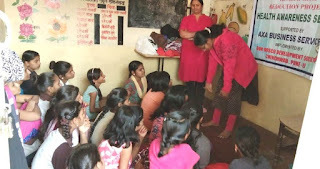 Mrs. Vibhawari did the logistical arrangement for this session and organized girls to participate in this session.